It is now well recognized that the brain, and especially the hypothalamus, plays an important role in the regulation of immune reactions and inflammation. This book aims to review our current state of knowledge of this important field. Key historical findings are presented, and the reciprocal interactions between the brain and the immune system are examined. Particular emphasis is placed on inflammation, a critical host defense reaction that serves as an effector response for both the adaptive and innate immune systems. 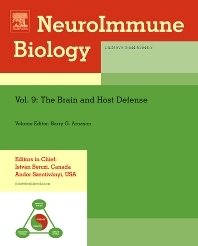 Mechanisms implicated in brain defense, as well as in more general host defense, are discussed. The regulatory influences of the brain on inflammatory responses are included with particular reference to the role of the hypothalamus, which is also the main director the hormonal regulation of immune/inflammatory. Gender-related differences in immune responsiveness, circadian modulator of immune responses, and evidence that behavioral conditioning (e.g. reward) of immune responses is possible are used as examples to reinforce the notion that the neuroendocrine system exerts a fundamental and complex regulatory influence on the immune system.